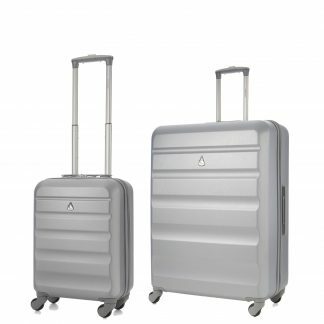 The Aerolite brand is proud to offer some of the world’s lightest luggage sets, helping to ensure millions of travellers worldwide enjoy more of their travelling experience. Available in 3 different colours, you’re sure to find the perfect travel partner. Four spinner wheels provide seamless 360 degree movement, while the double-tube retractable trolley grip handle (actioned via a push button) allows simple and easy transportation, as well as making it easy to stabilise objects placed on top. The outer casing is made from durable but lightweight anti-scratch ABS hard shell plastic to protect against the rigours of travelling. 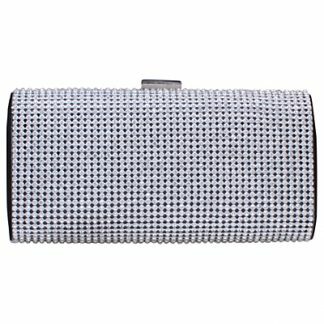 Robust, smooth, chunky zippers on the main body make opening and closing the case simple. The interior features packing straps and an internal zipped divider with elasticated pockets (perfect for shoes), to keep the contents in place during transit. Each case includes a free 3-digit combination barrel padlock for extra security, plus a 5 year guarantee for ultimate peace of mind!